Each and every Inspection performed by Taylor Made Inspection comes with a complimentary RecallChek Report, for life! Each inspection performed by Taylor Made Inspection Service comes with complimentary RecallChek Service! Adding even more value to your Home Inspection! Your Home Inspector will submit all your vital appliances model and serial numbers to cross reference for manufacturer recalls of potentially dangerous appliances! Your RecallChek membership is completely free for life. You receive monthly emails with new updates specifically targeting your home's appliances. RecallChek's database is constantly growing and to date has compiled over 210 million recalls from public records. 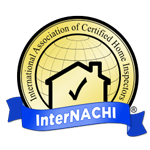 Once your home inspection is completed, you will receive your initial detailed report with all the information you need to know about your new home's appliances. You will also have the opportunity to create a log-in and password so you can add as many appliances as you'd like, even those not recorded by your Home Inspector. If you plan to upgrade your appliances, input your new appliance information to get updates about them as well! Your Home Inspection will pay off a lot longer than you imagined! The biggest problem we see with the law is that it is up to the consumer to determine if their appliances are fire and safety hazards. It is the manufacturer's obligation to make public record the information about all recalls and all manufacturers are required to fix or replace defective appliances at no cost to the owner! If you have not received a Home Inspection from Taylor Made Inspection Service and would like to try the RecallService for yourself, purchase your membership for the low, one time price of $29.95 now by clicking the logo on the upper left of this page!